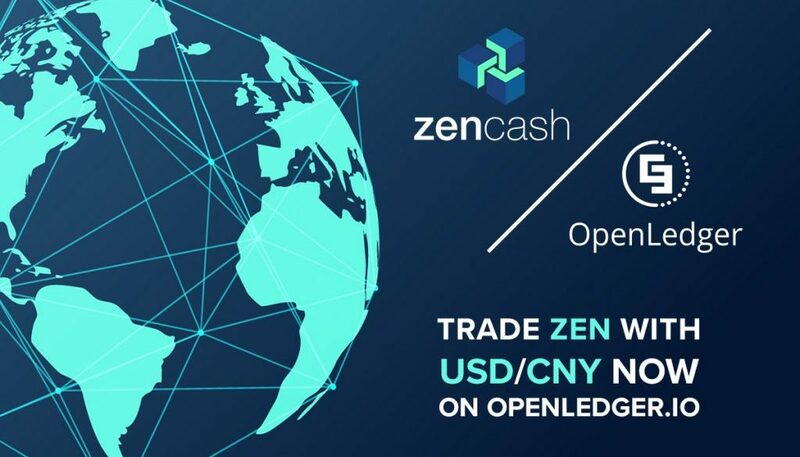 ZenCash is now listed on OpenLedger DEX, the world’s most advanced and secure decentralized cryptocurrency exchange built on the BitShares platform. The OpenLedger DEX platform caters to traders of all experience levels. It’s a next-generation platform that offers traditional digital currency trading options, as well as the benefits that trading with the BitShares 2.0 technology. BitShare is an industrial-grade financial blockchain smart contract platform. DEX stands for “decentralized exchange.” Decentralized exchanges eliminate security vulnerabilities such as hacking because the exchange doesn’t store user funds in a centralized system. Instead, decentralized exchanges allow peer-to-peer trading through an automated processes within the platform, which keeps it protected. OpenLedger doesn’t hold any of your ZEN, and it doesn’t control any aspects of your account. Your ZEN is accessible to you 24/7 from your web browser through your OpenLedger account anywhere in the world. Having trouble with OpenLedger DEX? Check out the OpenLedger support page complete with knowledge base solutions, real-time chat, and support tickets to help find a solution to your issue. Users can start trading ZEN on the exchange using a wallet or an account. If you use a wallet, you’re restricted to using OpenLedger on your current browser and computer. The account model, on the other hand, just requires a login and password. ZenCash can be traded on Open Ledger DEX using various currencies, including USD and CNY. Horizen Biweekly Summarized – April 18th 2018	ZenCash is Now Available for Trading on the Cryptowolf Exchange! Your platform is really cool! Is your service provide anon trading like for example ethermium – https://ethermium.com/? Do you have a trade limits?